⬅ Good News Shared Is Two Today! Young Charity Trustees 5th Anniversary- BIG News! 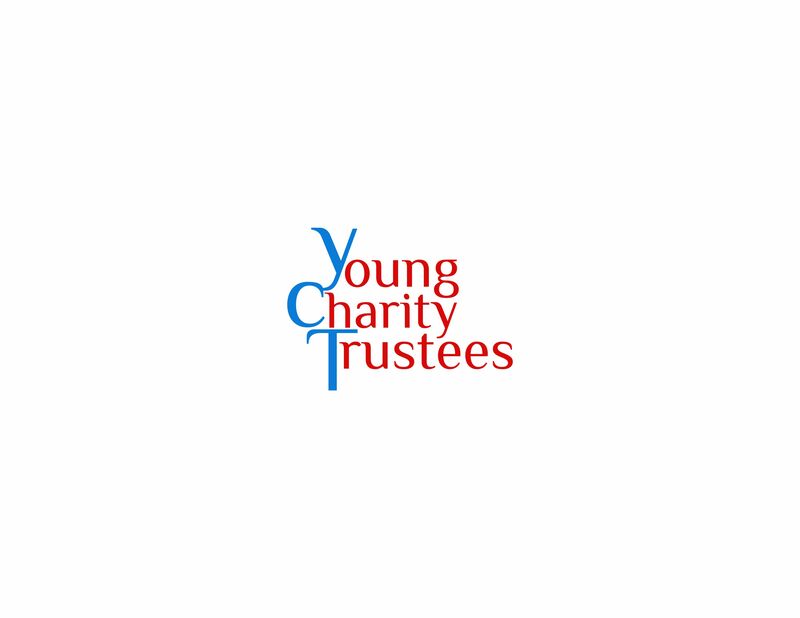 I am both thrilled and amazed to report that on May 10th, Young Charity Trustees (YCT) celebrates its 5 year anniversary! The hashtag is simple- #YCT5 – please use it across social media alongside the usual #youngtrustees hashtag. I assume that most people who have had contact with my work will know why I set up Young Charity Trustees- because I became a Trustee myself in my mid-twenties and I wondered why there weren’t more young people getting involved. More diverse Boards are one of the best ways that the charity sector can ensure that the future looks brighter and that the best outcomes are secured for everyone whose lives are affected by the work of charities. We need to bring what I have decided to call the ‘HEINZ age’ – the average age of Trustees- down. I’m calling it the Heinz age because the average age is 57! At times, it feels like I have been running a rather niche sort of dating agency- my clients on both sides have so much to offer but both young people and charities are often not confident that the other will be interested in them! As well as successes, there are two main failures I’d like to talk about. 1- Getting more young people to join Boards is clearly still a huge issue. I am confident that YCT has raised awareness of this issue and that we have played our part in making things better. But we have hardly ‘solved things’. I believe that the ambition of any campaigning organisation should be to do itself out of a job in time and we are very far away from that. 2- I don’t think we have been successful in encouraging a wide enough range of young people to be Trustees. 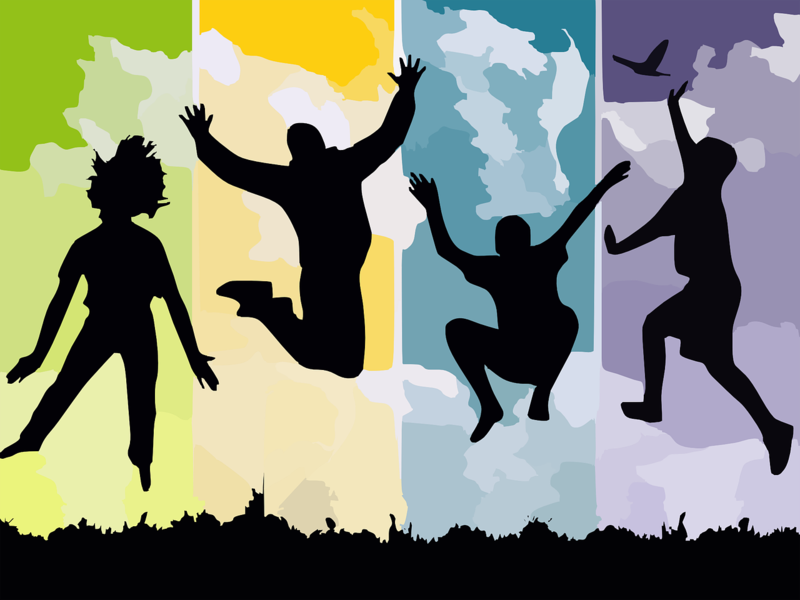 I have found that many (but by no means all) of the young people we have encouraged to be Trustees are young people who were succeeding in life in so many ways already. We may have steered them onto the path of Trusteeship, but without our help they might have either stumbled onto that path at some point themselves- or done something else equally wonderful with their time. However, I have always wanted to get to more young people who are NEET (not a fan of the acronym, but it’s the best I have available). I’d love YCT to reach out to more young people who have something they want to give back but perhaps they aren’t at the best place in their lives. I want young people to join boards who have benefited from charity programmes that helped turn their lives around (I have been involved with a small number of examples of this). I want young people to put skills to use through Trusteeship that they might not be able to currently express in their jobs (because many young people are in jobs unrelated to the things they studied). I want young people out of work but who care about a cause to give their time and build their confidence and for their Board experience to help them find work and help secure their future. I want this because I think it would make a huge difference to such young people and a huge difference to charities to have people on Boards with lived experience of some of the issues that charities are tackling. I also know that while I have had a lucky life, without becoming a Trustee myself I think it very unlikely that professionally I would have made the strides I subsequently did- I think it gave me an added level of confidence. So, how can YOU be part of our anniversary? I’ll discuss each in turn, please get involved with anything that excites you! How can you be part of it? To get our LinkedIn group to 4000 members- when we started our work that was the number of Trustees in England and Wales under the age of 25. 1000 likes on our Facebook page. We think we will make significant progress towards all in our anniversary month- please help us by spreading the word! We also want to use the occasion of our anniversary to bring the issue of Board Diversity to a wider audience. Please share your own message online. If you could use either of the hashtags mentioned above it would help us to coordinate our efforts. I will be pushing this campaign in the build up to the day. Today I will be releasing 5 new interviews in my Social Good Six series that showcases inspiring people bringing social good into the world. You will be able to find the interviews here. Interview number 40 is with Beth Kanter, the leading expert in the world for using social media for social good and someone who has been very generous in her digital support of YCT for many years. If you would like to volunteer to help with a few things to celebrate the Anniversary, please send me a Direct Message on Twitter via the YCT account or my account here. Perhaps the most important lesson I have picked up in the 5 years I’ve been involved in this space, is a concept I normally call ‘what is good for the goose is good for the gander’. By this I mean that in general, measures that I tell charities to implement if they want to attract, retain and support young trustees or make their Board more diverse in any way- are exactly the same that I think ANY new trustees (by which I mean new to a Board, not just new to trusteeship) deserve. EVERY new trustee, no matter their age, deserves an induction. Every trustee deserves training. Every trustee deserves to meet key people within the organisation. Every board should cast their net more widely than their immediate friends and contacts when recruiting new members. So, getting these things right and spreading the message about what makes a good board will make a massive difference and have a much wider effect beyond young trustees. As ever, the point of YCT is to help channel and support the movement towards greater Board Diversity. If you want to run your own campaign or try to get more awareness of your own work on this issue, please get involved. We want many voices to be speaking, not just ours. We must have a debate in the sector as we need new, innovative and bold ideas to make boards more diverse. I’ve decided to write a book about young trustees! The book will be for both charities looking to make their boards more diverse and for young people who are curious about Trusteeship. It will explain to people the amazing difference that Trustees can make (while of course, reminding them of the responsibilities that they have). I’m not sure yet whether it will be an e-book, a physical book, or both. Obviously I won’t be able to take all submissions, but I am very open to ideas. I will be getting in touch individually with people who I think can add particular things to the debate. It is very important that a number of voices are heard and that a true picture of Trusteeship is painted, so I want to hear your stories! I will be looking for a number of case studies both from the perspective of young people who have joined Boards and from those of charities who have recruited them. The book is an opportunity to let both young people and charities know that there are resources and there is support out there to help them. There are so many negative examples of Trusteeship in the news recently, which are used as a stick to beat the sector with. I think we need some positive, inspiring ones. I know that making boards more diverse is an issue that has faced the sector for a very long time and I hope the book will bring something fresh to the debate. I am in the very early stages of planning an event- possibly in Trustees’ Week and possibly to launch the book! The point of the event would be to bring together a number of people and organisations interested in young people becoming Trustees and in Board Diversity. It would also be a chance to celebrate existing young Trustees and to encourage young people interested in Trusteeship. If you are interested in sponsoring, supporting, or indeed coming to this event, please get in touch! In addition to these three things, I’m doing a special promotion for charities who would like my help to bring young Trustees onto their Boards- a discount on my usual consultancy rate. I can help you attract young trustees, find young trustees, induct young trustees and train young trustees. I can give you this price only if you get in touch to book my support during our anniversary month of May 2016. Please get in touch with me by email at alexswallowconsulting@gmail.com if you are interested. I’d like to say a big thank you to lots of people. To those who supported us and believed in us when we were just starting out. Our Ambassadors, our volunteers and everyone who has helped spread our message. Everyone who has given us a platform to speak whether in person or online. Every charity that cares about Board Diversity and has taken steps to improve their Governance in this area- and of course, every young trustee, past and present. We should be amazingly proud of everything that the charity sector achieves. However, we have so much work to do if we are to make sure that charities can go on making the difference in society that they have been for so long. We are facing challenges as never before- challenges of scarce resources, of changing public perception, of a changing world. At the same time we have an opportunity as never before, to step up to the plate and use all the advantages and advances that the modern world brings. To to that effectively we need good, passionate, skilled Trustees in every charity, healthy debates on Boards so that decisions are challenged properly, and more people coming forward to join Boards every year. To do that, we need to bring the average age of Trustees down. To do that, we need Young Charity Trustees. I hope that you are as excited as I am and I look forward to your comments below if you feel inspired! Or you want to share anything else! Of course, feel free to get in touch privately as well. I’m extremely excited about all three of these initiatives- but they will only be a success with your help. Congratulations Alex! It has been great to see diversity in charity boards getting more and more attention over the last 5 years – well done on everything you have achieved with YCT, I look forward to reading the book! 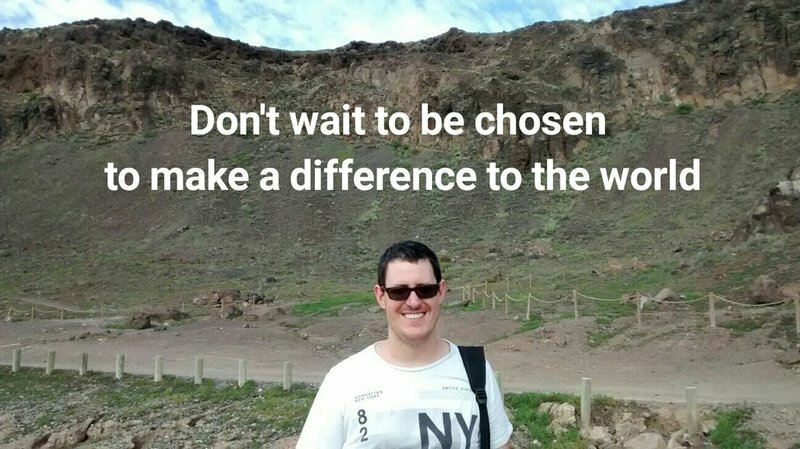 I’m an Influence Expert, Social Entrepreneur and digital nomad. I’m on a journey to find the best ways to grow the influence of others and to spread my own message, so we can collectively make a lasting difference to the world we live in. I invite you to join me on the road ahead. Sign up to receive an inspiring Social Good Six interview every week and selected other mails straight to your inbox! ©2019 Alex Swallow. Powered by the Get Noticed! Theme.